I have always been a bit of a souvenir gatherer. Whilst living and travelling overseas in the 80's and 90's I collected spoons, flags (for my son), placemats, t-shirts and anything else that took my fancy. Luckily I have since grown out of this habit but while we were away on our 12 month Aussie Adventure I knew I really wanted on thing to be my souvenir. 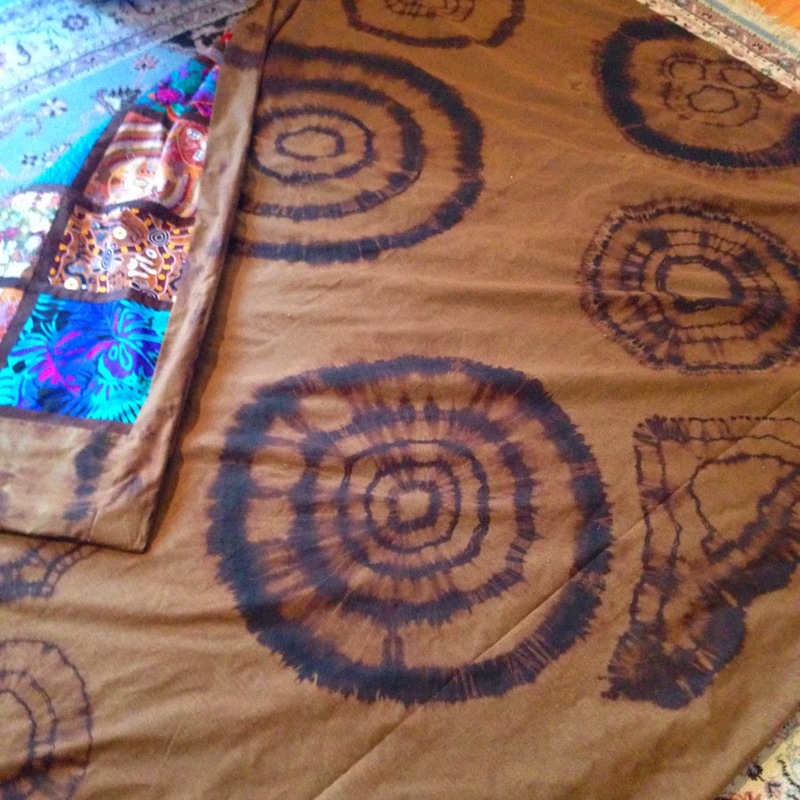 While in Alice Springs I wandered into a craft shop and saw some beautiful Aboriginal fabric. Straight away I realized that I wanted to make a quilt or doona cover with native fabric. I already had a couple of pieces of fabric I had bought in Hawaii and knew they would fit in perfectly. 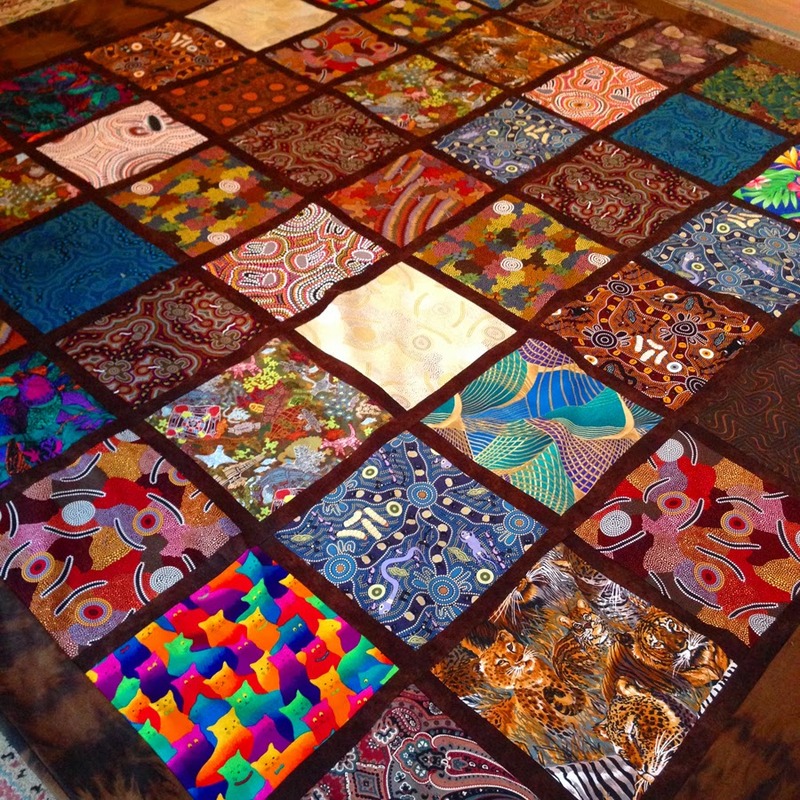 So during the 12 months I collected more beautiful Aboriginal designs. I decided to make a doona cover to use on our bed in the van (Myrtle). 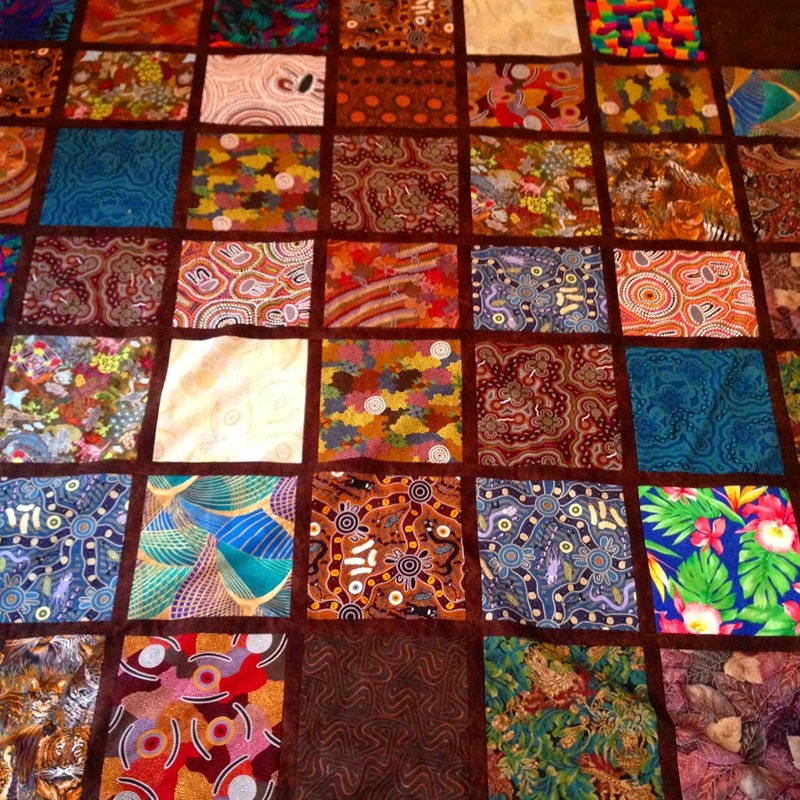 I have done patchwork and quilting for a very long time although haven't produced anything for a couple of years now. So I set myself a challenge for March and it was to complete my native doona cover. WooHoo it's finished and I just love how it has turned out. The fabrics I have used are so vibrant and cosy to sleep under. The back of the cover was a bit of an experiment. I bought some black sheeting fabric. My intention was to tye-dye it and have it black, red and yellow. But as the sheeting had polyester in it the bleach wouldn't take all of the black out and turned it brown. I wasn't to sure when I removed it from the washing machine but as I hung it on the line I knew this design was exactly what I wanted.